Usually the modelers desire to let the smoke out of the model. 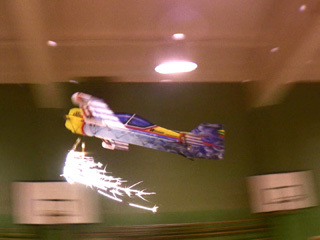 But, as a matter of fact, practically no pyrotechnics, which cannot be screwed to the model, exists. The most important thing is that afterwards it would not cost you your head . 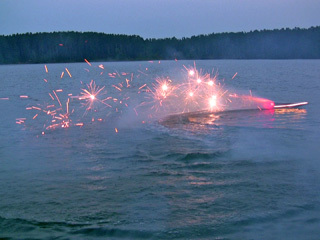 Furthermore, it should be noted that the pyrotechnics is divided into the professional pyrotechnics and the amateurish pyrotechnics. 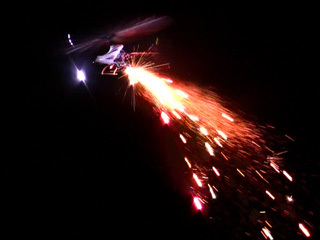 The professional pyrotechnics is correspondingly acquired from pyrotechnicians. Simply you must search for the companies, which offer their services in arranging the festal salutes, and try to find common language with them. For example, a reasonable price of the smoke-box, weighing approximately 100 grams, is 10 dollars. Generally speaking, the price 10-20 dollars - is an average price of one occupational volley or of the effect, weighing totally approximately 100-200 grams. 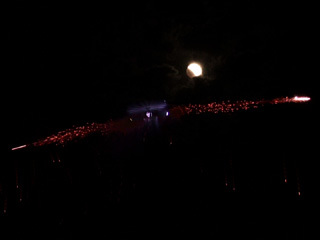 The ordinary festive pyrotechnics costs much cheaper. 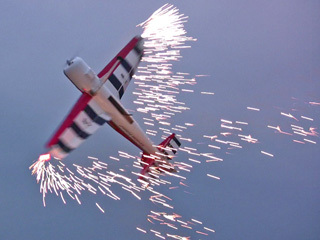 The pyrotechnics differs from the point of view of the quality of its production and safety; besides, the electric fuse is usually installed in the professional pyrotechnics. 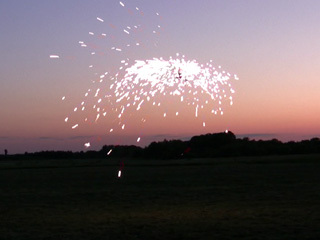 It is easier to obtain the amateurish pyrotechnics, but it will cause more fuss. 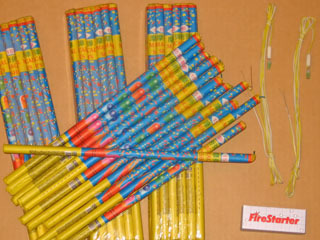 Firstly, the electric fuses, which are sold in the same places, where the professional pyrotechnics is sold, will be necessary; the usual price is one dollar per piece. One may produce fuses self-dependently. 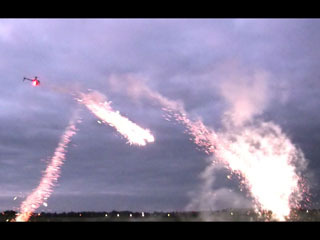 Secondly, there are many superfluous components in such pyrotechnics. It means that, if you spoil "accidentally" the outward casing, you will see much space, superfluous cardboard and the charge of quite small dimensions. 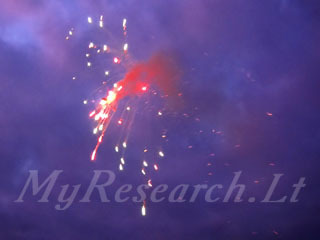 If you buy the amateurish pyrotechnics, try to assess its weight and the center of gravity so as to understand where and in which quantity the charge is contained in it. 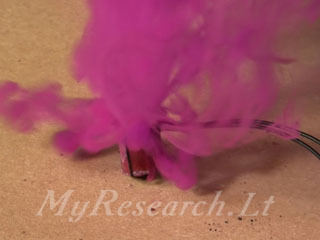 If you acquire the professional pyrotechnics, the seller may consult you; however, if you buy the amateurish pyrotechnics, read the description attentively (the conditions of use, the safe distance). Compare the indicated requirements, raised towards safety, with the possible conditions of launching. The electric current should be supplied for activation of the electric fuse. The mechanical closing of the electric circuit, implying use of the standard servo or use of the speed controller, meant for the electric motor, when the electric igniter is connected instead of the motor, serve as the universal solutions for supply of feeding, meant for certain equipment, installed on the board of the model. Absence of protection against accidental operation is the main drawback of these methods. 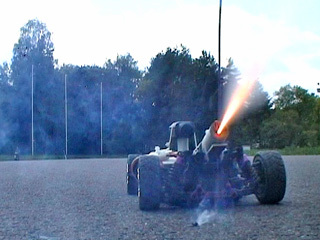 If interference occur in the radio-channel or in the electric circuit, then spontaneous launching of the pyrotechnics is possible. Another drawback is the possibility to deprive the model of the board feeding, if the short circuit occurs in the circuit of the electric igniter. The short circuit in the igniter usually occurs through the burnt insulation of the wire. 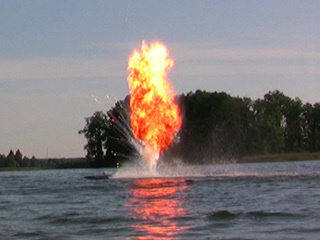 Application of the special device FireStarter is a professional solution. 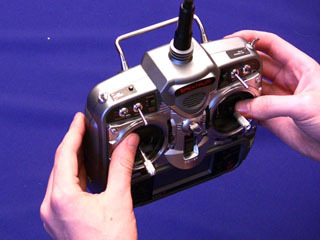 The device allows managing of six fuses along one control channel. So as to install an electric fuse into the amateurish pyrotechnics, it is necessary to extract the slow-match from it and to insert the fuse into the same canal. If it is impossible to do so, then the slow-match is shortened and the fuse is tied to the open end of the slow-match. The black powder may pour out while extracting the slow-match; it is the gunpowder. The black smoky gunpowder is resistant to blows and rubbing, however, it blazes up from the open fire. Blazing of the gunpowder up may set the slow-matches on fire, positioned near the charges. Remove such gunpowder with the help of the wet flannel. Do not keep the other pyrotechnics nearby. I hope that you have already bought the fire-extinguisher. 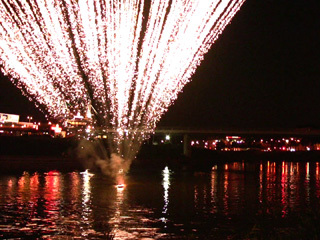 While assembling the pyrotechnics and its fastening elements, use the materials, which will not turn into the splinters in case of blowing up. Use the wood "balsa" and the sticky paper tape (from the building department, meant for house-painters). 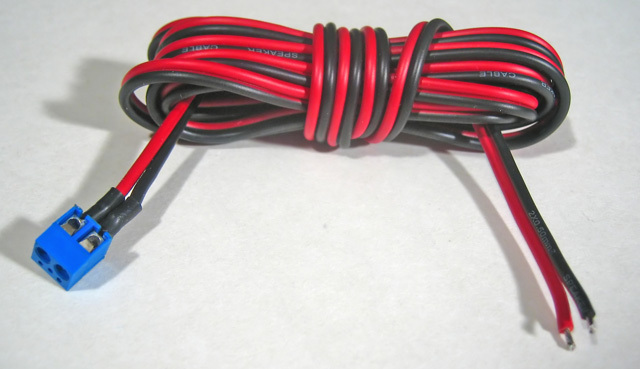 The wire may be used only for fastening of the pyrotechnics, which discharges a huge amount of heat, i.e. 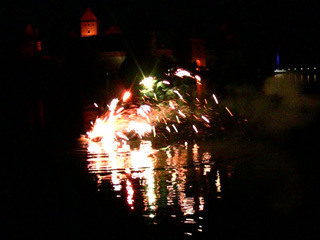 smoke-boxes, fountains, fiery-falls and torches. While projecting the fastening devices, do not forget about the jet power. 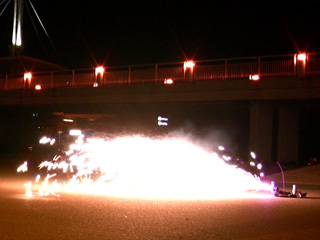 Prior to setting the new type of the pyrotechnics, test it without the model, evaluate the heat-discharge and the angle of dashing of the particles out. 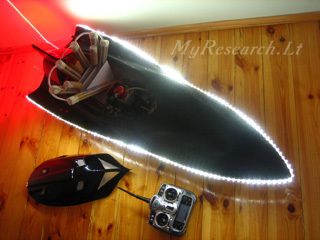 The surface of the model may be protected against small sparks with the help of the sticky aluminum foil, which is used for isolation of the air shafts of the ventilation. 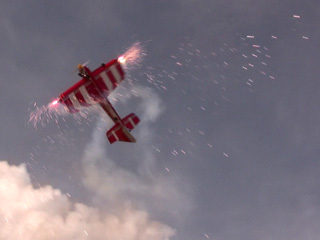 The hot pyrotechnics should be fixed with the layer, made out of balsa. About the possibility of usage of the models, aimed at causing detriment. According to any legislation, dangerous activities always used to be prohibited. Any person can purchase the festal salute; however, a severe punishment may be imposed for shooting at the windows. It is not real to employ the model as a bomber; simply a person will fail to hit the objective, but the latter will be detained for dangerous activities. 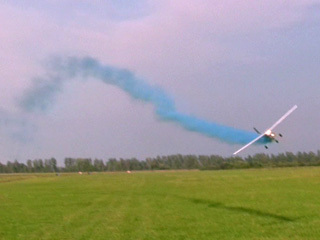 The variant "kamikaze" is possible, if to navigate the model according to the image in the board video-camera, but the distance is short, the equipment is bulky, it flies slowly, the preliminary preparation takes long time and a very small number of people are able to fly (the probability of success is low, whereas the circle of the suspected people is narrow). The real firearms may be acquired for the same price, whereas the state itself has trained each man, called up for military service, how to handle them. 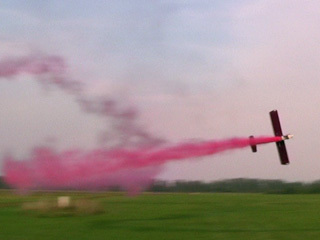 An air-craft model may get, of course, into the farmstead, but the grenade-gun is simpler, cheaper and safer. 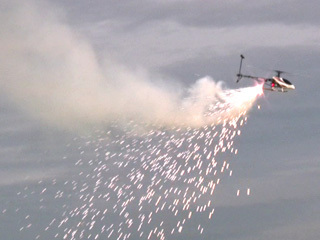 Truth, in some cases radio-controlled models can be used for installation of the explosive. The actual danger is contained in inadvertent activities, implying the unskillful and careless navigation. 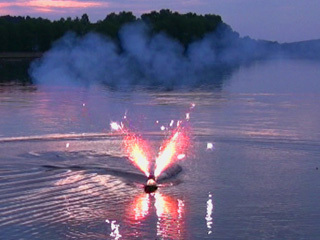 It is convenient to use the button, installed on the control panel and meant for controlling the pyrotechnics, instead of the switch. If the button is missing on the control panel, it can be installed. I have selected a convenient place for installation of the button, i.e. I drilled a hole in the body of the control panel and installed the button. The button is connected either in parallels with the switch of any control channel, or instead of the switch. If the button is connected in parallel with the switch, then the switch should be switched off, seeking for functioning of the button. 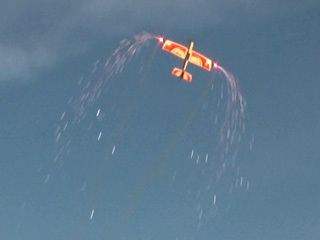 The light-illuminating diode, which warns about readiness for activation, is installed on the device FireStarter. It is possible to connect either a brighter light-illuminating signal or the sound signal. The siren from the safeguarding alarm system may produce the sound signal. 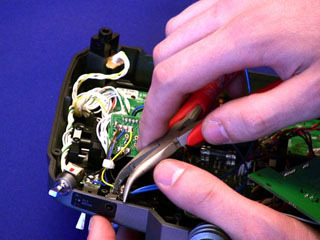 The minus of the siren should be connected to the minus of the battery, connected to the FireStarter; the plus of the siren should be connected to the first contact of the first fuse on the FireStarter. 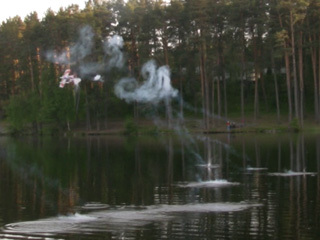 The siren, connected in such a way, should consume not more than 3A. All similar connections are done at your own risk. If you are not sure about the things, then do not do anything. 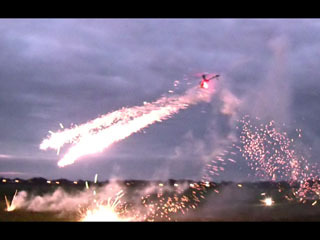 It is convenient to connect the pyrotechnics to the preliminary brought out contacts on the large models or on the models, provided with the difficultly removed body. The clamps, meant for connection of the fuses, are installed outwardly, whereas the device FireStarter remains inside the body. One outlet is installed under the rudder of the aircraft model, another one - in the area of the undercarriage and in twos - at the end of the wings. Use of the Nichrome Fuses. In the majority of cases these fuses should be coated with the combustible substance. For example, with gun-powder or with sulphur, meant for matches, dissolved in the liquid varnish. However, these fuses are good without coating only in one case, i.e. when the smoke granule inflames on a light model. 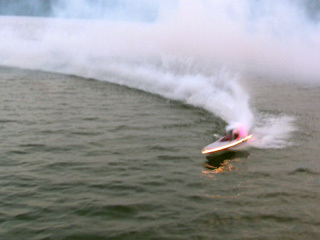 The fuses with the pyrotechnical coating produce a fierce flash, which may burn through the foam rubber body. 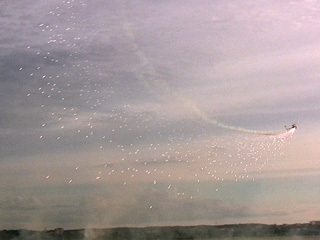 The granule out of the pressed mixture of the smoke composition is fixed on the light model with the help of the steel wire. The fuse is pressed to the granule. Smoke starts to appear without the preliminary flash at the moment of activation. One more variant of use, which is worth doing, i.e. burning of the fixing threads through (separation of the decorative elements, rescue devices or other mechanisms). 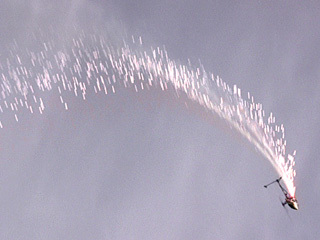 Drop-bomb (Installation of the festive salute on the flying model). The charge, meant for the ordinary salute, should be fixed on the model. The charge may be taken from the battery, meant for the festive salutes. If the charge, meant for the professional salute, is used, then it is necessary to cut off the capacity, which contains the charge to be kicked out (the charge out of the black gun-powder, which kicks the shell from the gun tube). The charge is tightly wound to the body of the model with the help of the cotton thread. The inflammable end of the charge should be pointed outwardly. All the coils of the fixing thread should be pressed to the inflammable area so as to burn off immediately after ignition. The electric fuse is pressed from the outside with the help of the same threads. 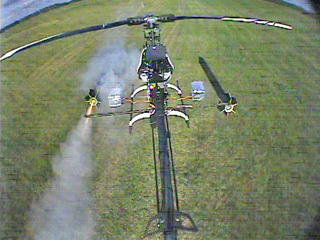 Several seconds pass from the moment of ignition till the explosion; the charge is able to fly off the model within this time. The safety distance of bursting the charges is estimated according to the description of the charge to be used. 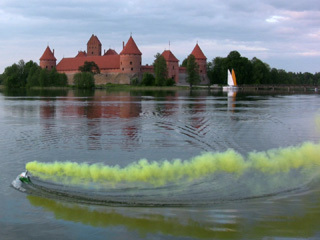 A simple self-made cannon, meant for discharging of the confetti, is reflected on this picture. 1 - the tube. 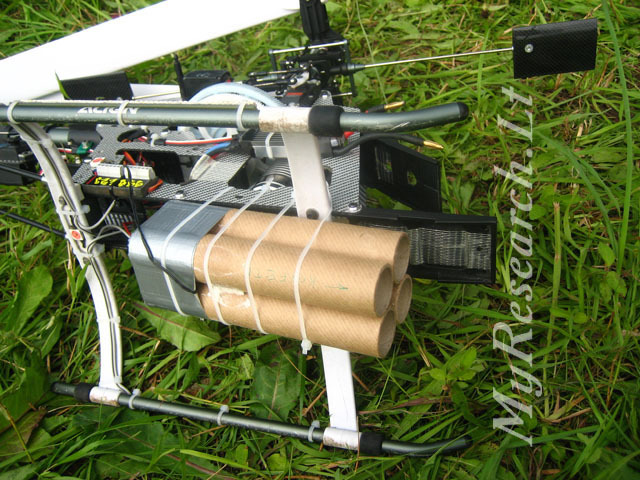 10 layers of ordinary paper, meant for the printer, are wound round the casing with the diameter of 30 mm (1 inch). One layer of the sticky tape, reinforced with fiberglass or with kevlar, is wounded over the paper. The length of the made tube should be 210 mm (the narrow side of the sheet). One edge of the tube should be sealed with one layer of the paper, meant for the printer (2). The tube is filled in with talc - 2/3s of the total volume. Talc is the powder, meant for legs or for the child's poll, which is sold in the drugstore (3). 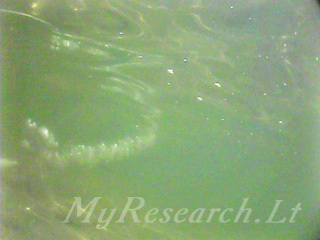 The powder pellet, provided with the electric fuse, is let down inside the tube (4). The other end of the tube is sealed with one layer of the paper, meant for the printer (in the same way as the first end (2). 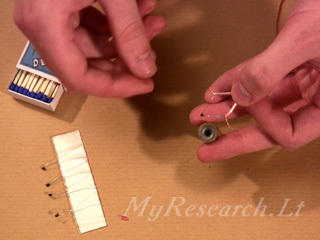 The electric fuse, approximately 1 gram of the gun-powder and the sticky paper tape are necessary for production of the powder pellet, provided with the electric fuse. The electric fuse may be produced by the factory and may be self-made. 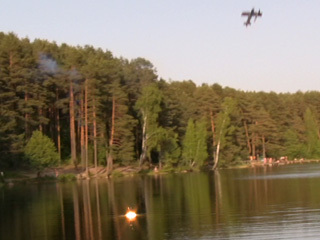 The gun-powder is extracted from the other cheap pyrotechnics. The sticky paper tape with the width of 20 mm is purchased in the painting shop. 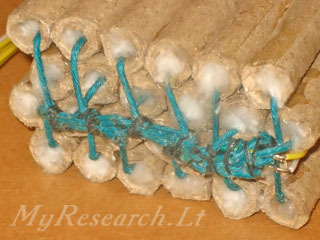 The sticky tape may be substituted with the insulating tape, based on the textile fabric. The powder is poured on the thin film of the packing packet; the fuse is put into thepowder ; all the contents are rolled into one round bladder; it is wound round from above, tightly from all the sides with 10 layers of the sticky paper tape or with 5 layers of the textile fabric tape. 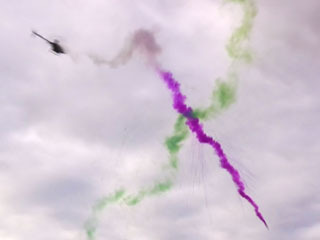 When the powder pellet bursts out, the talc powder dashes outwards and creates a white cloud. 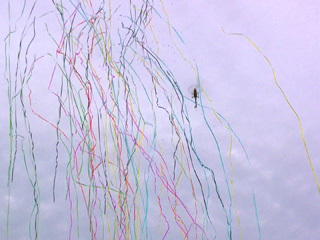 50-100 grams of confetti may be used instead of talc. It is necessary to acquire the rocket engine with the thrust-power not less than 10 Newton for producing of the rocket to be launched from under the water. 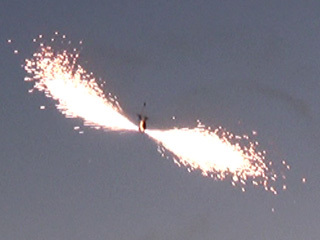 The body of the rocket is produced out of plastic in the same way as for usual launching. It is not recommended to produce the body of the rocket out of paper because the wet paper rocket may get jammed in the shaft. The diameter of the body should be a bit larger than the diameter of the engine so that the engine is installed without the intermediate rings. The center of gravity of the ready-made rocket should be positioned closer to its nose; if it is otherwise, the fairing should be made heavier. 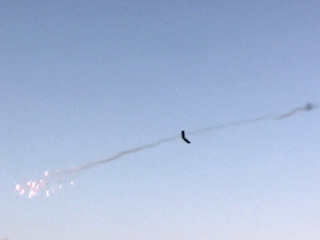 The rocket with the incorrectly fixed center of gravity will fly unevenly. 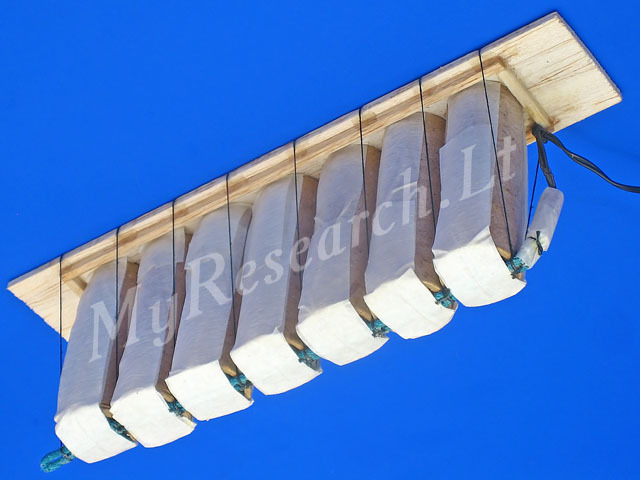 The rocket is not provided with stabilizers; however, seeking for providing the rocket with extra stability, the wooden legs, pointed backwards, may be additionally glued (as it is usually done with celebratory rockets). The shaft, meant for the rocket, should have the inward diameter, exceeding the diameter of the rocket by few millimeters. The shaft is produced out of fiberglass plastic. Please, pay attention to thickness of the walls of the rocket's engine - thickness of the walls of the rocket shaft should be a bit larger. Length of the shaft may be a bit longer than length of the rocket. 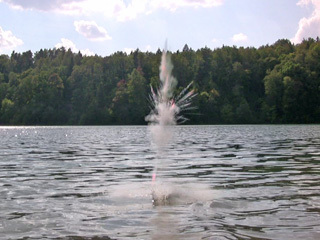 Use of the both multiple and one-time shafts, which together with the rocket are installed on the underwater models, is possible. The one-time shaft can be produced out of plastic water-supply pipe of the necessary diameter. The lower part of the shaft is provided with the tight closure, via which feeding of the electric fuse is arranged. The rocket should be easily installed in the shaft. After connection of the fuse, the rocket is let down into the shaft, the upper end of which is sealed up with water-impermeable film. Water should not soak inside. It is advisable plaster the lower end with the sealant. In case of long-term immersion, water may soak even through the damaged insulation of the wire. 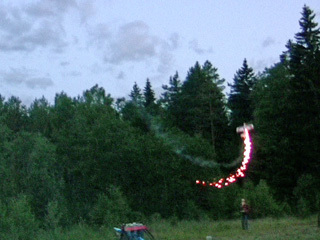 The rocket may be launched both upwards and horizontally. 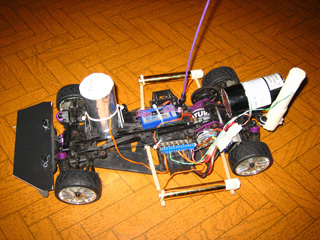 The thrust-power of the engine, amounting to 10 Newton, is sufficient for dashing out of the 1-meter depth. Please, bear in mind that strong recoil occurs at the moment of shooting (particularly, if the engine was defective and burst). Thus, the shaft should be reliably fixed to the main frame of the model, which should also be firm. 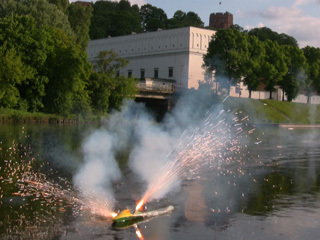 Preparation of the pyrotechnical block out of 48 tubes of the type “The Roman candle”, 15 shots in each. 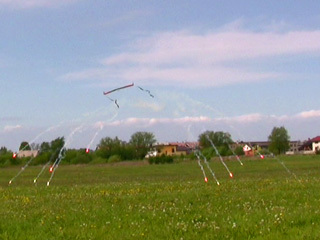 Seeking for more intensive shooting, two bunches, consisting out of 24 tubes, directed towards the opposite sides, must simultaneously ignite. As the result, 720 colored comets are shot within 30 seconds. 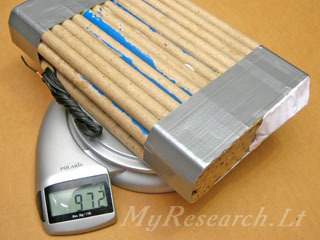 The obtained tubes are shortened from the both sides and are glued into the one block. The weight of the block together with the fastening elements is 1 kg. 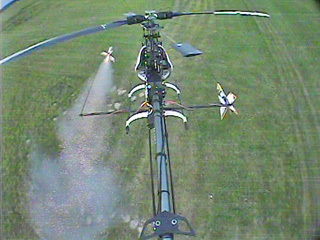 The block was installed on the helicopter T-Rex700, the helicopter could perform the figure “piroflip”. 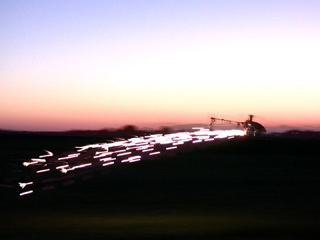 Generally speaking, the helicopters, attributed to the class 50-90, endure shooting from the tubes with the caliber up to 1,5 inches. 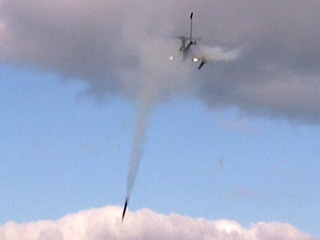 A helicopter with the installed thermite flame-falls is reflected in the present video view. The temperature of burning of the thermit is 2500 degrees. Drops of the fused metal fall down and set the grass on fire. 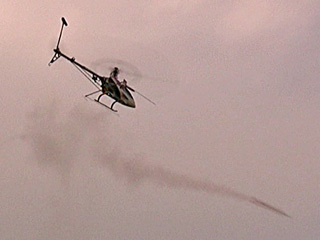 20 people participated in extinguishing. The ship, equipped with the petrol engine; the mass is 6,5 kg. 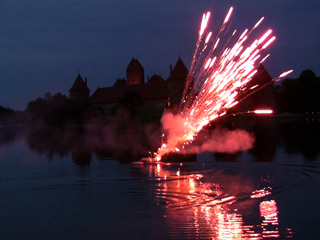 The pyrotechnics is the fountain, having the mass of 0,6 kg. 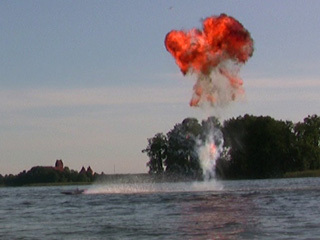 The engine stalled through absence of oxygen inside the body after the explosion. 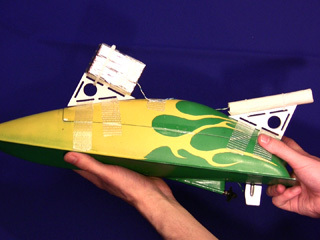 The outward appearance of the ship suffered to a certain extent, however, its electronics and mechanics remained safe.